Zurmo is an open source CRM that enables users to manage their contacts, monitor their team activities, and track their deals. It positions itself as a “gamified” CRM, targeting a younger audience of users. This model includes functionalities such as point collections, level badges, and rewards to recognize the accomplishments of the employees in servicing their customers. Ready to try Zurmo? Download the app for free. As of the date this article was written (10/19/18), there are no user reviews of Zurmo online. 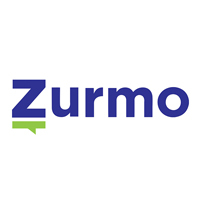 If you are a past or current Zurmo customer, leave a review to help other business owners who are deciding whether or not to use the software. Zurmo doesn’t publish its pricing options online. However, according to third-party sites, subscription cost for the license to use the product starts at $35 per month for 5 users, billed annually. Ready to try out Zurmo? Download the app for free. CRM Gamification: enables managers to recognize the accomplishments of their team members through rewards, gifts, points, and badges. Activity Management: allows users to track the progress of their various tasks, activities, and projects. Deal Tracking: enables users to keep track of the different stages of their interaction and level of transaction with their potential clients and customers. Customizable Workflows: enables businesses to customize the program based on their internal team processes and workflow. What operating systems are compatible with Zurmo? Zurmo works with Windows and Linux systems. Does Zurmo have a mobile solution? Yes. Zurmo can be downloaded and accessed on Android and iOS devices. Not sure if Zurmo is the right fit for you? 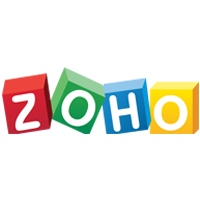 Read our reviews of all top CRM software or check out one of these three Zurmo competitors. There are a lot of great features for the price point. It’s one of the most user-friendly free CRMs out there. I wish it was more customizable. Some parts are difficult to understand and configure.